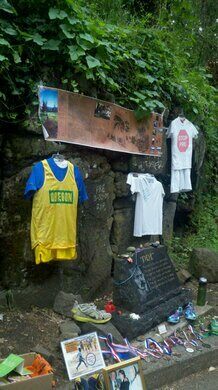 Athletes come from all over to pay respects to the cocky runner who at the time of his death held every American record from 2,000 to 10,000 meters. 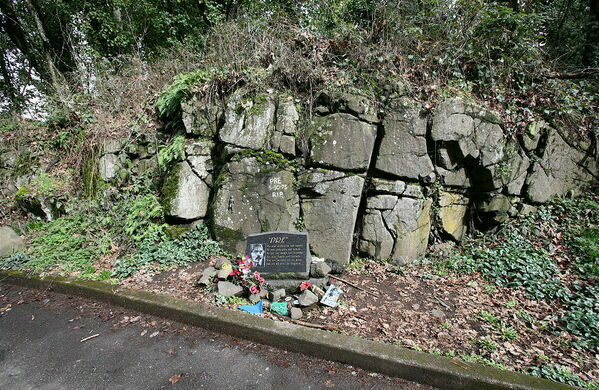 They leave medals, flowers, shirts, energy bars, and handwritten notes, and sometimes just quietly reflect at the stone that memorializes Steve Prefontaine, who was only 24 when he died. Moments spent at the slab have been referred to as the Church of Pre; it’s a compulsory pilgrimage for runners all over the world. Steve “Pre” Prefontaine was just 19 (and not yet sporting his signature mustache) when Sports Illustrated featured him on its cover alongside the proclamation “America’s Distance Prodigy” in 1970. The beloved Oregon native was responsible for the massive growth in popularity running saw in the ‘70s. His fans wore shirts that read “Go Pre,” prompting his opponents at the ‘72 Olympics in Munich to wear “Stop Pre” shirts. He didn’t win any medals that year, but he was certainly expected to take home gold in the ‘76 games. Unfortunately Pre wrecked his car coming home from celebrating a win late one night in 1975. 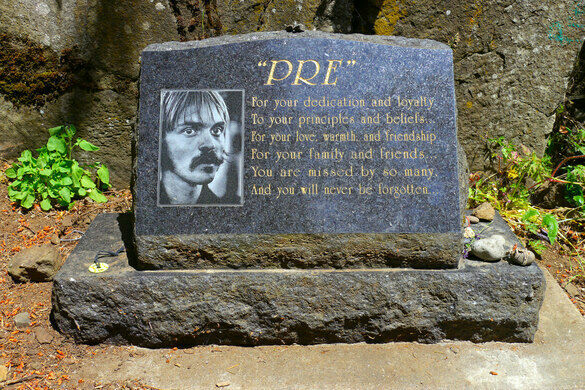 Though he died young, Pre’s aggressive running style cemented his place in running and American history. This nature center has one of the largest collections of native raptors in the Pacific Northwest.